NOTE: Plan includes the creation of one project. Each additional project would cost $69 per month. For Early Stage Funds to Large Deployment, Starting At..
Get ready with initial deployment within 2 weeks. Onboard your team, train and improve impact strategy on an ongoing basis. This is a flexible program designed for both early-stage ventures or matured businesses aligned with the social impact objectives. These organizations often have an excellent social impact history or goals but not able to communicate impact effectively. Our experienced team or impact practitioners will guide you through a structured impact strategy - theory of change, indicators, surveys, identify current data or forecast impact results, align with impact management project, and build an impactful report for your investors or grantors. Price: $5K-$10K depending on scope and budget. A report based on Canva. Define goals, process and outline analysis, and strategy development approach. Agree on the timeline, give/get from both sides. Based on the Impact Cloud, develop impact knowledge graph. Research the most applicable reporting framework for the area of impact. Identify frequently used impact indicators and align with impact organization. Work to identify data and survey required to complete reporting requirements. 2-3 iteration of impact report design. Design five dimensions of impact based on external and company-specific metrics and reporting process. SoPact team has qualified data strategy, architecture, and technology solution services. Work with our qualified team to develop customized data management and analytics solutions based on full stack technology and Salesforce. What is Impact Knowledge Graph? An innovative & structured knowledge graph allows to publically available & often standard based (such as GIIN) impact themes and strategy. Before you start, select the right publically available Impact Knowledge Graph (IKG) and modify to meet your specific impact. IKG will save months worth of strategy building and help you move in data management and reporting path fast! What is Impact Theme & Strategy? As impact investment grows many investors and entrepreneurs are looking to properly define impact strategy for their area of impact. Impact themes such as affordable housing, impact source, energy etc are foundational. Each of these areas can ultimately employ a different strategy to demonstrate its impact. SoPact Impact Cloud uses well-defined themes (often provided by standard bodies) and augments with Impact Knowledge Graph to simplify data strategy and reporting. Who uses Impact Knowledge Graph (Free Product)? Are you early-stage social impact startup or nonprofits or business? Do you need a robust impact strategy? Then this tool is for you. Designed to be used individually or with impact practitioners? Impact Practitioners set up a workshop or work 1-1 with prospective clients, coach clients and take them through a journey of impact reporting and data-driven roadmap. If you are an early stage social impact startup or nonprofit, this product is for you. Use impact report designed by the platform to raise impact capital fast! How is Impact Maker different from data collection & data management solutions? Most enterprises and nonprofits working with program data may be collecting program, beneficiary and stakeholder data. These data can be managed in case management, program data, operational data, offline mobile survey or an online survey or cloud-based platforms such as .NET and Salesforce. Impact Cloud does not replace any data collection system. Impact Maker acts as a simple data warehouse solution that integrates data from an external system based on intelligent field mapping. What is a difference between Impact Maker and Impact Manager? 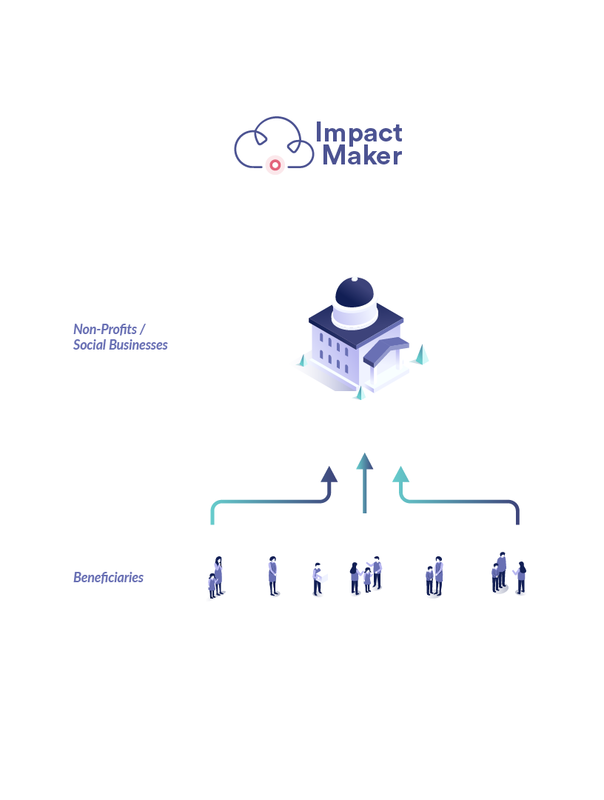 Impact Maker is a simplified data aggregation and warehousing solution for enterprises, mission-driven organization that can primarily collect program, operation, stakeholder and beneficiary data. 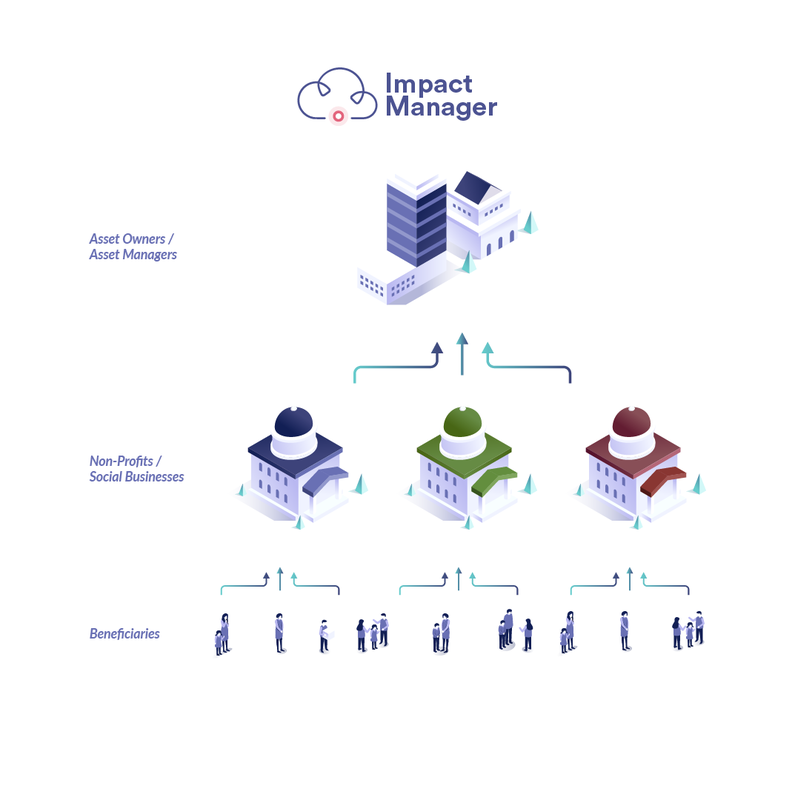 On the other hand, the Impact Manager is designed for funders and development finance organization that want to build a collaborative relationship and collect results of program funding. Why Impact Manager should introduce Impact Maker to Enterprises? There are four mechanisms to collect results from grantees and investees. We believe that most of the funder's first inclination is to use email options, we highly recommend they use "Sync" options with few limited enterprises. Here is why! What is Outcome Map Library? Outcome Map Library is a publicly available outcome measurement out-of-box social impact assessment tools. SoPact Impact Maker seamlessly integrates the most popular outcome. The feature is in early beta. So, we will prioritize according to our customer's primary needs. How to use the SROI application? SoPact SROI application certified by Social Value International is designed based on the most comprehensive stakeholder data management application - Impact Maker. Ask for a custom designed prototype to meet your internal requirements.